Manage and control your building security with flexible and scalable electronic card access solutions. A TELSCO commercial card access system is a proven and effective way of managing control of your facility. Our combination of software, electronic door controls, magnetic card readers and access cards provides a scalable easy-to-use access/security solution for organizations of any size. Since 1970, we have been designing, installing and supporting access control systems for apartment complexes, parking garages, industrial sites, multi-story corporate headquarters, as well as other applications. For clients looking to realize the true potential of a Card Access system, Kantech hattrix allows business owners and managers to opt for Hosted or Managed Card Access Services. How Do Hosted and Managed Services Differ from Traditional Access Control? With traditional Card Access systems, all hardware and software requirements are purchased by the client. The software is stored, accessed, managed, and updated on site. A dedicated PC is required for running the software, and appointed staff members become responsible for maintaining, updating, and preserving the database. Hosted or Managed service allows you to entrust your card access security to the professionals and eliminates the need for traditional infrastructure and upkeep. TELSCO hosts the database, server applications, software, and hardware infrastructure. Initial and ongoing hardware expenses, personnel costs, and unanticipated downtime are considerably reduced. Everyday aspects of the Card Access System, such as security access cards, are easily handled by the client using a powerful and intuitive web interface. TELSCO hosts the database, server applications, software, and hardware infrastructure. TELSCO manages every aspect of your Access Control System, allowing you to focus on the core aspects of your business. Initial and ongoing hardware expenses, personnel costs and unanticipated downtime are dramatically reduced. TELSCO’s friendly staff are on hand 24 hours a day to provide assistance and facilitate updates, while the client maintains unlimited access to the system using a powerful and intuitive web interface. With a multitude of diverse reports and notifications available, your card access system becomes a tool that can benefit your business beyond the scope of security. Contact our sales team, right here in Edmonton, to see how access control can benefit your organization. What is the hattrix Card Access System? Kantech hattrix is an exciting new security platform that provides business owners and managers with an option for Hosted or Managed Card Access Services. These services represent a new philosophy in protecting people and property. It is a response to the growing realization among business owners that the best way to manage access control is to outsource it, just as they have done with their IT, payroll and legal responsibilities. How does hattrix differ from Traditional Access Control? With traditional Card Access systems, all hardware and software requirements are purchased by the client. 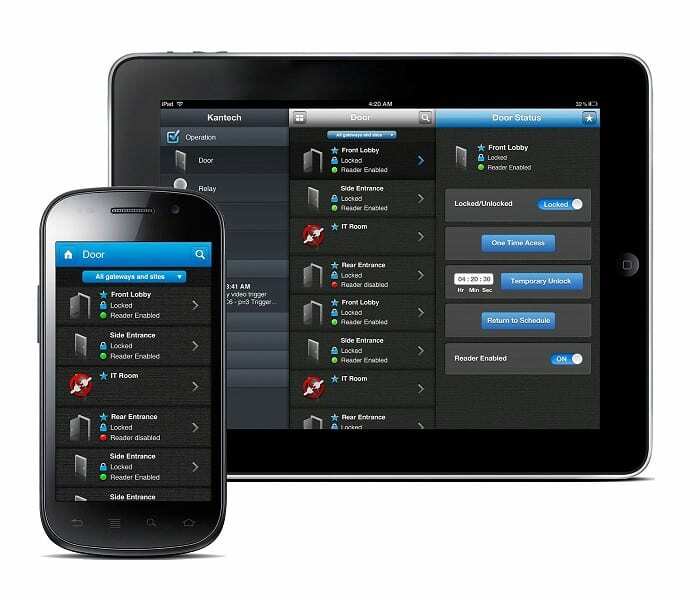 The entrapass software is stored, accessed, managed, and updated on site. A dedicated PC is required for running the software, and appointed staff members become responsible for maintaining, updating, and preserving the database. Kantech hattrix allows you to entrust your card access security to the professionals and eliminates the need for traditional infrastructure and upkeep.